Jordan Thompson, Ajla Tomljanovic and Bernard Tomic won their opening-round matches on Thursday, making it seven Aussies in the second round in Miami. 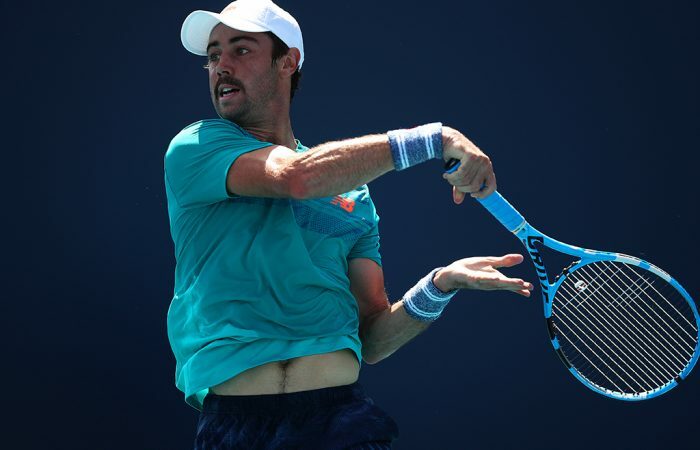 Australia has enjoyed a strong day on Thursday at the Miami Open, with Jordan Thompson, Ajla Tomljanovic and Bernard Tomic winning their opening-round matches. 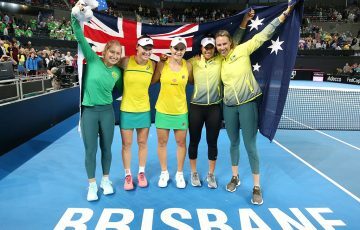 As a result they join seeded compatriots Ash Barty, Nick Kyrgios and John Millman – who all received first-round byes – in the last 64, as well as Sam Stosur, who won her first-round match on Wednesday. 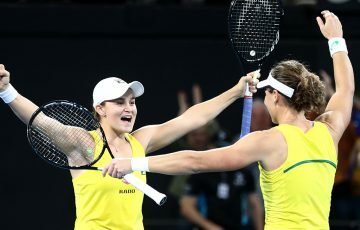 Later on Thursday (local time), both Barty and Stosur won through to the last 32 – where they will meet in an all-Aussie third-round showdown. Thompson scored a hard-fought 4-6 7-6(5) 6-3 win over Brit Cameron Norrie, a match lasting more than two-and-a-half hours. 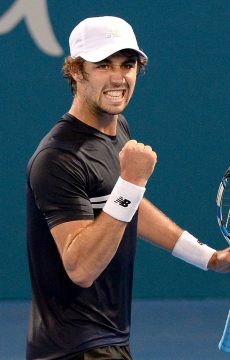 The Aussie trailed by a set and break against an opponent ranked almost 30 places higher, before coming back to set up a second-round meeting with 10th seed Karen Khachanov. Tomljanovic resumed her rain-delayed match down a set to Anna-Lena Friedsam, but romped through the final two sets to post a 4-6 6-3 6-0 win. Next up for her is No.9 seed Aryna Sabalenka. Tomic eased past qualifier Thiago Monteiro 6-4 6-1 in just 65 minutes and will now play world No.1 Novak Djokovic. Djokovic owns a 5-0 winning head-to-head record over Tomic, although Tomic did win an exhibition match over the Serb at the Hopman Cup in 2012. The pair have not met since 2015. In other Australian results, Daria Gavrilova fell 6-4 6-2 to Slovakia’s Viktoria Kuzmova while Matt Ebden retired from his match against Radu Albot when trailing 6-0 3-2 due to a foot injury.